It was on Halloween 90 years ago that the sensational illusionist and escape-artist Harry Houdini died. The American illusionist, stunt performer and escape artist Harry Houdini was born on March 24, 1874 and became world famous for his daring and sensational acts. He caught public attention first as Harry Handcuff Houdini when he traveled around the US and Europe challenging policemen to keep him locked up. Eventually he advanced his acts to include chains, ropes, straitjackets, as well as swinging from skyscrapers and having to escape from and hold his breath inside a sealed milk can. One of his most known acts is known as the Mirror Challenge, performed in 1904. Thousands of people watched as he tried to escape from special set of handcuffs commissioned by London’s Daily Mirror. The London Daily Mirror newspaper had challenged Houdini to escape the handcuffs it claimed had taken Nathaniel Hart, a locksmith from Birmingham, five years to make. With 4000 spectators and more than 100 journalists, Houdini managed to escape about an hour later. To this day a lot of claims have been made about how he managed to do the trick, some claiming his wife gave him the key somehow. After the escape Houdini broke down and wept, later saying that it was the most difficult escape of his career. Another iconic escape was the Milk can escape in 1908. The act is often associated with Houdini as he might be the one to perform it first. 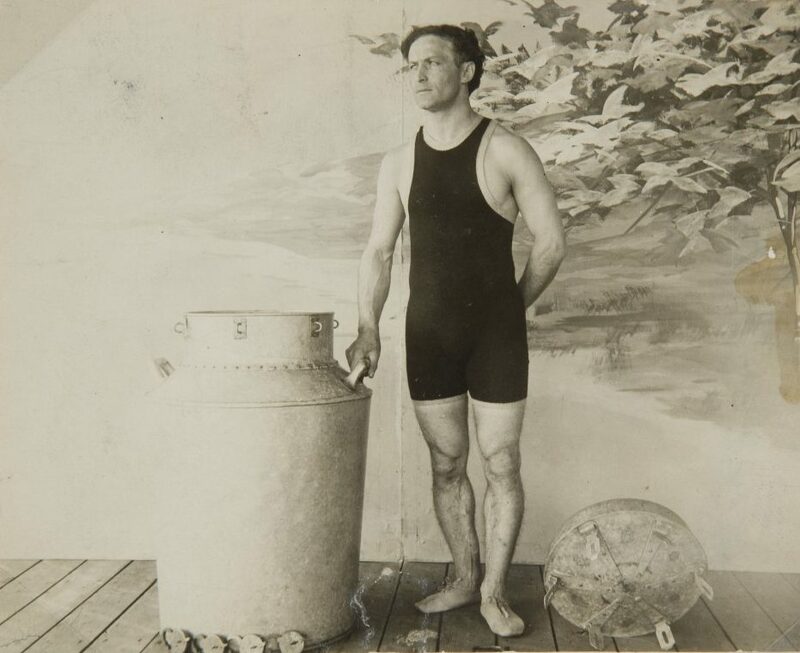 In the act, Houdini was handcuffed inside a sealed oversized milk can filled with water. The stunt was advertised with the tagline “Failure Means A Drowning Death,” which was reinforced by Harry asking the audience to hold their breaths with him until his escape. He later on modified the stunt to be in a milk can inside a wooden chest while he was both chained and padlocked. When his milk can act became popular with other stuntmen, Harry introduced the Chinese Water Torture Cell. Around 1912, introduced this escape where his feet were locked in stocks as he was lowered upside down into a tank filled with water. However, his most iconic stunt must have been Buried Alive. While there were three variants of the stunt, they all involved Houdini being buried alive and having to dig himself up. His first attempt nearly costed him his life in 1915. Houdini was buried without a casket in a six-feet deep pit near Santa Ana. On his way up he became exhausted and panicked, and as his hands broke surface he fell unconscious. His later variants all included some sort of casket or coffin. On October 31, 1926, Harry Houdini died of peritonitis, alongside a ruptured appendix. History has it that his death was a result of a series of blows to his torso from a student at McGill University.